The Monogram Studio collects user submitted information such as including, but not limited to, name, address, phone number, fax number, email address, financial profiles, and credit card information. The Monogram Studio also logs non-personally-identifiable information including IP address, profile information, aggregate user data, and browser type, from users and visitors to the site. This data is used to manage the website, track usage and improve the website services. User IP addresses are recorded for security and monitoring purposes. The Monogram Studio will not disclose personal information to any third party without a user’s explicit permission unless required by law. The Monogram Studio reserves the right to transfer personal information to a successor in interest that acquires rights to that information as a result of the sale of The Monogram Studio or substantially all of its assets to that successor in interest. 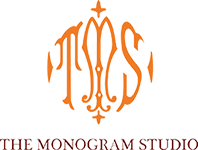 If you have any questions about this privacy statement, the practices of this site, or your dealings with this web site, please contact us at: inquiries@themonogramstudio.com.